Celandine has long been used in folk medicine for the treatment of most severe diseases. With his help get rid of warts, scabies, rheumatism, tuberculosis and even cancer. The most effective cure is alcohollike a tincture of celandine, which is used both topically for diseases of the internal organs. It is possible to prepare yourself in several different ways. Collect grass for the preparation of infusions. For this early autumn, when the plant will harden the seed pods, remove the Bush from the ground, Podkopaev it at the root. Try to choose a plant cleaner, so as to wash it is not recommended. Clean the Bush from dust and dry leaves. This is the raw material that you will use to prepare the tincture according to any one of the following recipes. Miss the raw material through the grinder. The resulting slurry was wrap in cheesecloth and place in an enamel pan. Cover pot and put in a cool dark place, preferably in refrigerator. A day press the juice through cheesecloth containing the pulp, and mix it in equal quantities of vodka. If for the preparation of infusions do you use alcohol, the proportions will be different. Excessive amounts of ethanol can destroy the healing properties of the plant, so the juice of the plant will take in 2 times more than alcohol. Chop celandine, pre-assembled for the preparation of infusions. Take 20 grams of the herbs and pour them a glass of vodka. Allow the infusion to steep in a cool dark place for two weeks. Don't forget to periodically stir and mix the infusion and then strain it. If you want to get a stronger tool, instead of vodka can use 70% alcohol, but the treatment with the infusion will need to adjust the dosage. Sprinkle dried or fresh herbs to the middle of a half-liter jar then pour vodka to the brim of the jar. Steep the infusion for two weeks then strain the infusion and add to it another 350 ml of vodka. Celandine poisonous! Start treatment with minimal doses. The ingestion of celandine can burn vocal cords, so be careful with the use of the tincture. 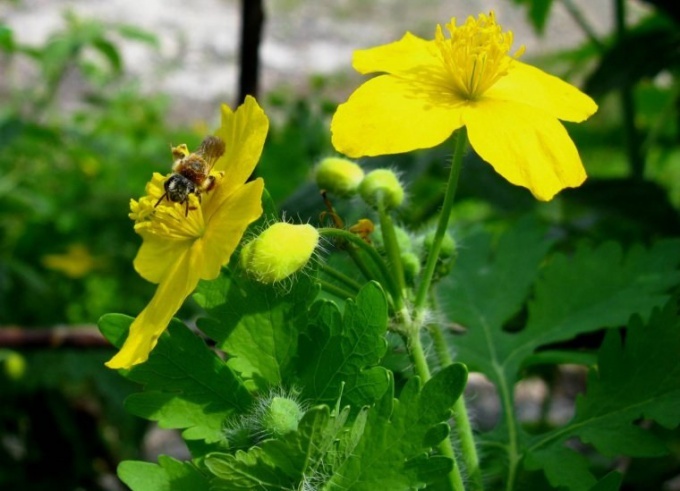 Celandine is considered affordable, versatile and effective drug – it is used to treat skin diseases, wounds and injuries, internal organs, inflammatory and allergic diseases, etc. to Use the plant to properly. If you use celandine in the recipes of traditional medicine, strictly follow the recommended dosage and method of preparation of therapeutic drugs. Prolonged use of greater celandine is also unacceptable because of the high activity of the active components. If you prepare the infusion, remember that a single daily dose is not more than a teaspoon for an adult, which is always diluted in a glass of water. Drink the solution not in one gulp, you must allocate is the amount for the whole day. Juice of celandine should be measured in drops and often need to diluted with water. Fresh juice of celandine can be instilled into the nasal passages in the treatment of diseases of the nasopharynx – it is possible to obtain nadamu stem of the plant. If you plan to use the juice of celandine into the treatment of diseases of the stomach, a teaspoon of fresh juice should be diluted with boiled water (one glass). Juice of celandine is useful to lubricate the face, especially for acne and inflammation – apply it as a mask for a few minutes, then rinse with water. After the first procedures the irritation may increase, but subsequently, blackheads will be less. Skin problems like warts, eczema, fungal diseases, herpes and other violations of the integrity of the surface tissues, are also treated by rubbing sores juice of celandine. The juice of the plant is well absorbed and needs no fixing bandage dries, celandine forms on the skin a thin protective film, preventing the penetration of bacteria into the tissue. Infusion of celandine is cooked in a water bath by heating for several minutes, pre-dry or fresh Bay grass boiling water. Infusion of celandine has choleretic and laxative effect, can relieve pain, take it before meals. The administration of infusion should be within one or two months – only in this case it is possible to achieve significant results. Celandine is most often combined with other medicinal herbs, together with yarrow it successfully copes with bronchitis, in combination with the tri-color violet treats psoriasis. Ethanolic extracts of celandine take in the presence of cancer. Celandine is a perennial plant that grows in yards, in forests, gardens and parks. 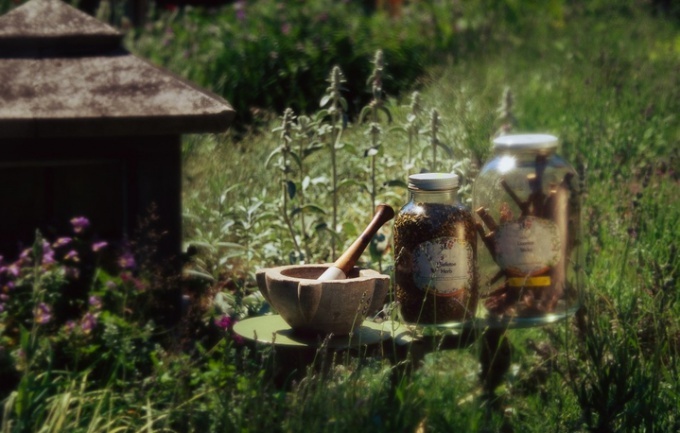 For the treatment of various diseases are the flowers, stems, roots, which have unique properties. Most often, the infusion and its juice is used topically to treat skin diseases. Preparations based on plants have anti-inflammatory, antipruritic and antimicrobial action. When applied, ease pain, heal wounds faster, reduces the risk of recurrence of fungal infection. There is also a huge number of recipes for ingestion. With their help, reduced blood pressure, shot spasms, heart rate slows down. In powder form of celandine is used to treat ulcers, sore wounds. Enough to cover the damaged area of the skin. You can surround the wound, the fresh leaves of the plant. It should be remembered that the plant belongs to the toxic, so use with caution. For the treatment of hypertension used the juice of the plant. You need to take the tops of the celandine and mince. Squeeze the juice and put in a dark place, covered with gauze capacity. When you see the film mold gently to remove it. Take tincture 5-10 drops, considering the age and weight of a person. For the treatment of vaginal candidiasis or thrush effective decoction of celandine. To do this, pour 2 tbsp dry or fresh herbs Cup of boiling water, let steep, and then use as a solution for douching. Helps in mastitis ointment based on the celandine. Mix 1 tsp. leaves with 2 tsp ghee and apply a compress to the painful places. 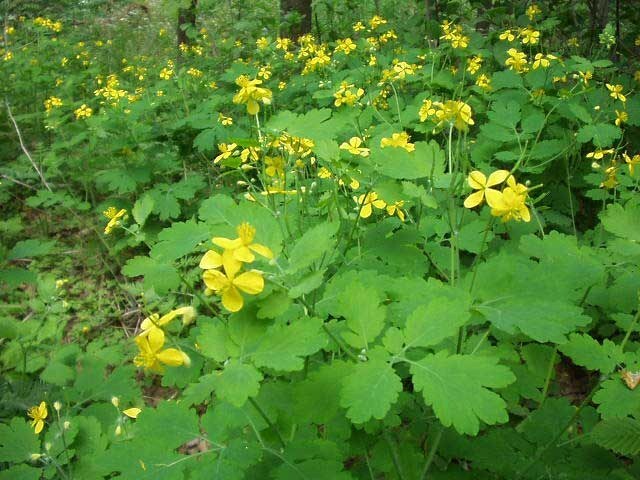 For the treatment of gastric ulcer and 12 duodenal ulcer, it is recommended to prepare the infusion of celandine. Thoroughly wash the herb, chop and place in a glass bowl to half. To the top, pour hot water and leave for 1-2 hours. After that, strain and take twice a day for 100 ml for 2-3 weeks. In diseases of the stomach infusion should be taken on an empty stomach in the morning and afternoon before a meal. In tuberculosis and other lung diseases effective alcohol tincture of the flowers of the plant. To prepare it, take 100 grams of flowers, pour 2 cups of 70% alcohol and put in a dark place for a week. Take the remedy three times a day 20 drops. Can be pre-diluted in a glass of warm water. If you experience cramps also use a water extract of celandine 2-3 tbsp or alcohol tincture 10-15 drops three times a day.